Crikey media wrap: The Australian Federal Police announced this morning that it will not launch an investigation into the Tent Embassy demonstration on Australia Day that resulted in Julia Gillard and Tony Abbott being evacuated from a Canberra restaurant and caused mass media hysteria. The Australian Federal Police announced this morning it will not launch an investigation into the Tent Embassy demonstration on Australia Day that resulted in Julia Gillard and Tony Abbott being evacuated from a Canberra restaurant and caused mass media hysteria. Abbott had been calling for an AFP inquiry after news that one of Gillard's staffers played a role in instigating the protests. One of Gillard's press advisers, Tony Hodges, decided a response from the Tent Embassy would be appropriate after hearing Abbott's Australia Day comments about the relevance of the Tent Embassy. Hodges called ACT union leader Kim Sattler and repeated Abbott's comments, telling Sattler that Abbott was at an event just a few hundred metres away from the embassy. Sattler called at least two people at the Tent Embassy and told them Abbott had said the embassy needed to "move on". The Radical Left would have you believe that the date of Australia Day somehow excludes people -- yet all they offer for evidence is the people who have consistently said they’ve been excluded from the day. 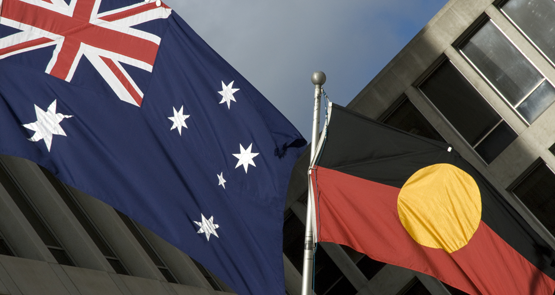 While the Yarra and Darebin councils' decision to stop honouring Australia Day has the best intentions at heart, encouraging councils to act unilaterally could ultimately backfire on the campaign for an indigenous treaty. Tiwi and Larrakiah freelance writer Eugenia Flynn explains the increased polarisation within Aboriginal communities surrounding Invasion Day, or Survival Day.